Includes nine toss pillows; polyester. Light assembly may be required to attach pieces of the sectional together. 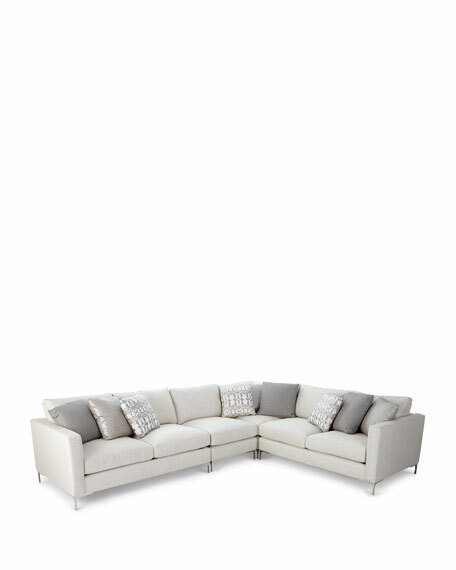 Dimensions: right arm love seat, 64.5"; arm-less love seat, 60"; corner chair, 40.5". 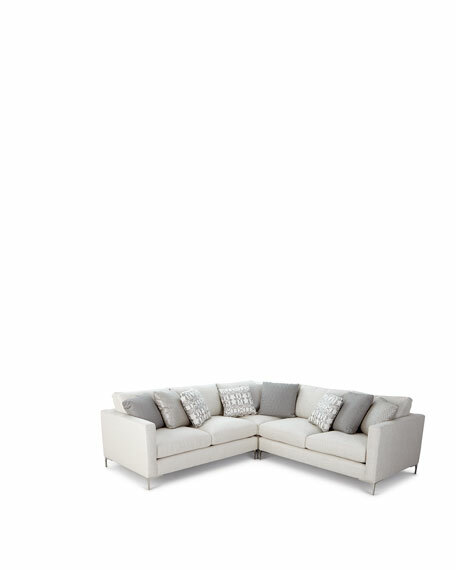 Overall, 165"W x 40.5"D x 33"T.
Dimensions: right arm love seat, 64.5"; arm-less love seat, 60"; arm-less chair, 30"; corner chair, 40.5". Overall, 195"W x 40.5"D x 33"T.
Boxed weight, approximately 425 lbs.